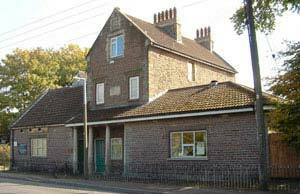 Frampton Cotterell Badminton Club was formed between 1940 - 1943. 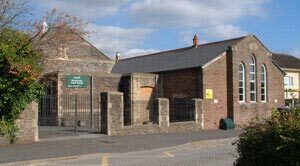 It was started by people from St Peters Church, Frampton Cotterell and held at the Church Hall, School Road (now the Crossbow Community Centre). The hall could only accommodate a singles court, inside tram lines, with a low beam that could be hit with our rackets. Club night was Monday. The next venue was St Michaels Rooms, Winterbourne in the 1970s. At last a full size court (still with beams but not such a problem) and we were able to join the league. Then it was to Brockeridge School, Frampton Cotterell for 2 seasons. Finally we settled at our present home of King Edmund School, Yate (Tuesdays) although up until the late 90s we also had a clubnight at Downend School (Thursdays). 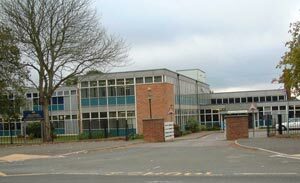 In 2009 King Edmund School became Yate International Academy. (Acknowledgements: Thanks to Keith Maggs [joined FCBC in 1954] for the above information).